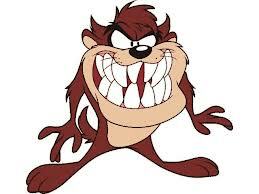 You may have noticed that the notorious Tasmanian Devil of the Looney Toons cartoons has a very short attention span and never stays in one place for very long. This is so like a Gemini. Gemini people do not like to be bored, and are constantly changing the environment around them. They re-arrange furniture, jobs, or anything that they feel could be construed as ordinary enough to be boring – almost like that whirlwind Tasmanian Devil that we all know and love. This habit keeps the people around the Gemini person on their toes in the same way that Taz always keeps his fellow characters in the Looney Toons cartoons on their toes. He is awfully repentant when he stops and thinks about the damage that he has done, but then – like a true force of nature – he is off like a shot to do it again!